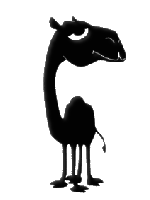 The Perl Workshop is a day of presentations and encounters by and for Perl users. A chance for newcomers to get an impression of the programming language Perl and for experienced users to learn more about techniques, existing solutions and the latest developments. After the success of our previous workshop we are sticking to a similar format for this year: while most presentations will be on an advanced level, we'd like to also encourage Perl newcomers to get a taste of Perl and therefore we once again plan to keep the admission free – and fortunately we'll be able to do so thanks to the opportunity to use the Revelation Space as a location free of charge. Of course we are still grateful for voluntary contributions and sponsoring. An invoice can be supplied. As last year we chose a Saturday, for those who wouldn't be able to attend on a weekday. If you want to spend the night in The Hague, please find the hostel where some of the Perl mongers will stay under Accomodation. You can add your name in the wiki to get in touch with each other. Register your attendance and submit presentations soon! Registration is now open. The sooner you register as an attendant and possibly submit one or more presentations, the better we can plan the workshop. If the schedule gets full, earlier registrations get priority!